Jr. Past Governor Ray Schaefer Sr.
Jr. Governor Mark Marshall Sr. The Private Social Quarters of the Hopewell Moose Lodge is operated in Full Compliance of the Rules and Regulations for Private Social Quarters Operations published by the Supreme Lodge. The following Local Rules and Regulations are an addendum to the Rules and Regulations published by the Supreme Lodge. 1. Social Quarters are defined as the lounge and game room at all times and the Ballroom when used for Moose Functions. 2. Members are responsible for the conduct of their children at all times utilizing the lodge facilities (NO RUNNING). Anyone under the age of 18 must leave the Social Quarters no later than 9:00P.M. Sunday thru Thursday and 11:00P.M. Friday and Saturday. NOTE: Memorial Day- Labor Day Sun –Thurs 11pm, unless otherwise approved by the House Committee. 3. Any member of the Order purchasing an alcoholic beverage for anyone under the age of 21, or knowingly allowing them to consume such will immediately be asked to leave the premises and be requested to appear before the House Committee for action. 4. No checks will be cashed for more than $100.00 and only one check during a 24-hour period, unless signed by an elected officer who will be responsible for the excess. 5. No more than 2 credit card transactions for cash, allowed at VTABS register. $300 limit each transaction. 6. Chairs will not be placed at the ends of tables in the lounge and ballroom obstructing fire aisles. 7. Any member who does not pay the liquor locker rent will surrender their locker after 30 days. A fee of $1.00 will be paid for all lost locker keys. 8. In consideration to all members and their families, members are expected to wear clean and presentable attire at all times. NO short shorts, cut-offs, t-shirts (underwear type) will be allowed. Men’s tank tops will not be permitted. Appropriate (mid-thigh) shorts may be worn anywhere in the lounge; shorts are permitted in the Ballroom at all times unless specified by the house committee. 9. Hats with bills (worn properly with the bill in front) or brims may be worn in the social quarters at any time, except during dinner hours. Other types of head gear – i.e. : do-rags, bandanas, hardhats, etc. may not be worn. However, hats may still be worn in the bar area and game room during these hours. 10. The jukebox in the lounge will be turned off at anytime a band or DJ is scheduled in the lounge except while the band is on break. 11. Children under the age of 16 may be in the game room ONLY with the supervision of their Parents, Guardian, or Grandparents AT ALL TIMES. If the Parents, Guardian, or Grandparents leave the room the children MUST go with them. Children may go to the kid’s room without their parents, but when they leave the kids room, they must return to their parents table. Children cannot roam about the social quarters without their parents. 12. The No Smoking areas in the social quarters and ballroom will be marked with “No Smoking” signs. All No Smoking areas must be honored! Smoking of all cigars and/or pipes is prohibited everywhere within the Lodge. Effective January 1, 2016, no smoking in the Social Quarters dining area on Wednesday and Friday during the dinner hour (5:30pm – 8 pm). Smoking areas during that time are in the upper bar area and the game room. 13. Firearms are absolutely prohibited on Any Moose Lodge property. 14. Tables MAY NOT be reserved, during dinner service. 15. No one under the age of 18 is allowed to sit at the bar. 16.MOOSE MEMBERS ONLY are allowed to play the VTABS, pull tabs, jukebox. MOOSE MEMBERS ONLY are allowed to make purchases from the bar. A non-member WILL NOT receive any winnings from gaming machines. 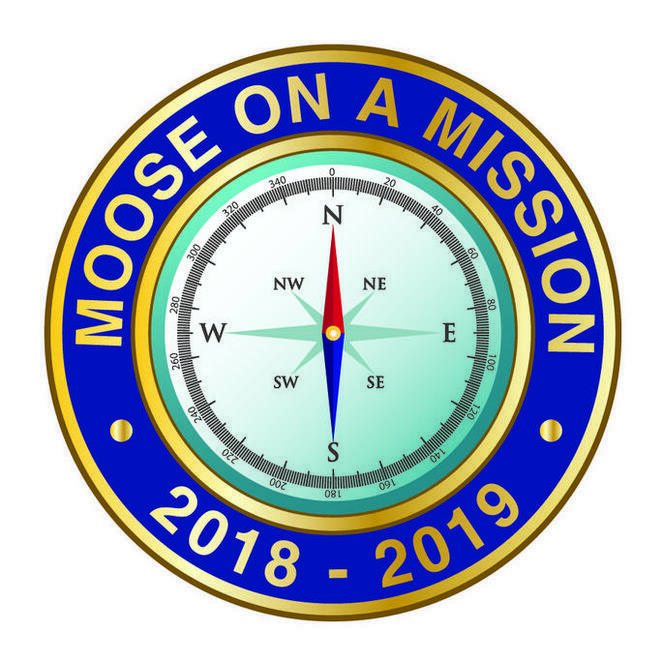 The bartender, social quarters manager or board of officer (after identifying themselves) may ask to see your moose card. Failure to produce, your ID. May result in disciplinary actions. 17. NO outside food (except birthday cakes, cupcakes) may be brought into the social quarters. 18. NO fundraising events (except moose related) allowed in social quarters. VIOLATION(S) OF THE ABOVE RULES AND REGULATIONS, BY THE LODGE OR ANY OF ITS MEMBERS, COULD RESULT IN THE SUSPENSION OR REVOCATION OF THE SOCIAL CLUB PERMIT.